The foam tray provides space for 3 Cruisers and 6 Frigates of the Post-Human Republic. On the tray there are 4 additional compartments for playing material. 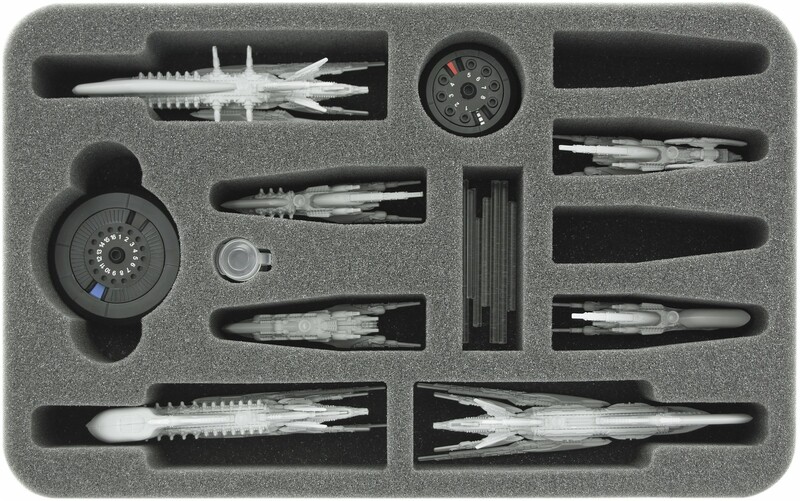 In addition a FREE capsule for the damage pegs included! 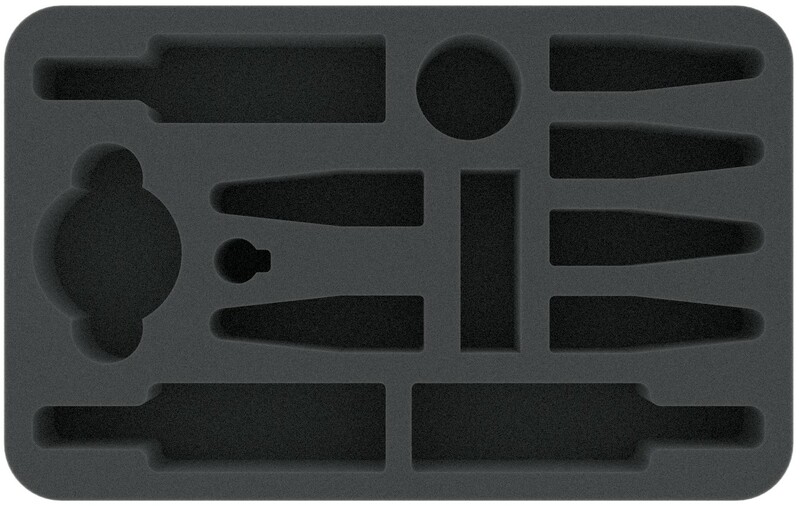 The Feldherr half-size (HS) foam tray has the dimensions: 275 mm x 172 mm x 45 mm height. 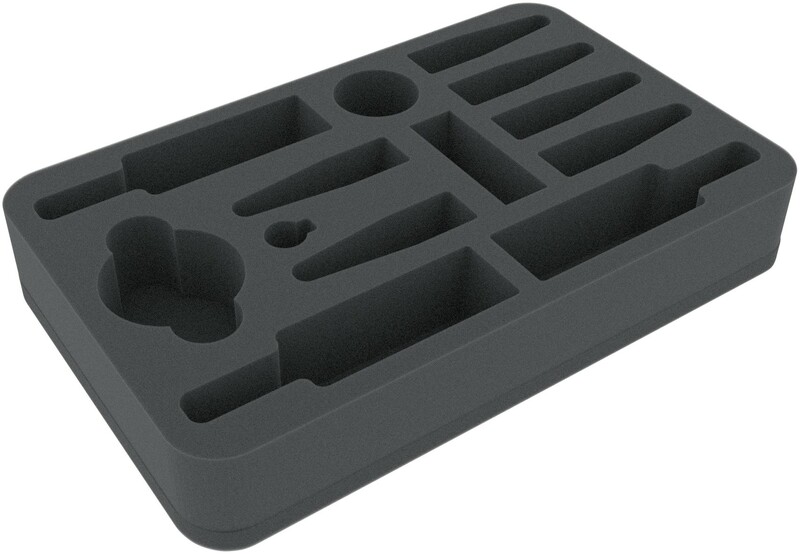 The 45 mm depth of the foam is result from 10 mm foam base and slot foam tray with 35 mm effective depth.